Fighter_Luke-01.pngJoin us in memorizing God's Word! We believe that to truly let God's Word set into our hearts and minds we need to memorize it! We are encouraging our whole church to set these verses to memory! One verse each month. You can do it! "23 Then He said to them all, “If anyone wants to follow after Me, let him deny himself, take up his cross daily, and follow Me. 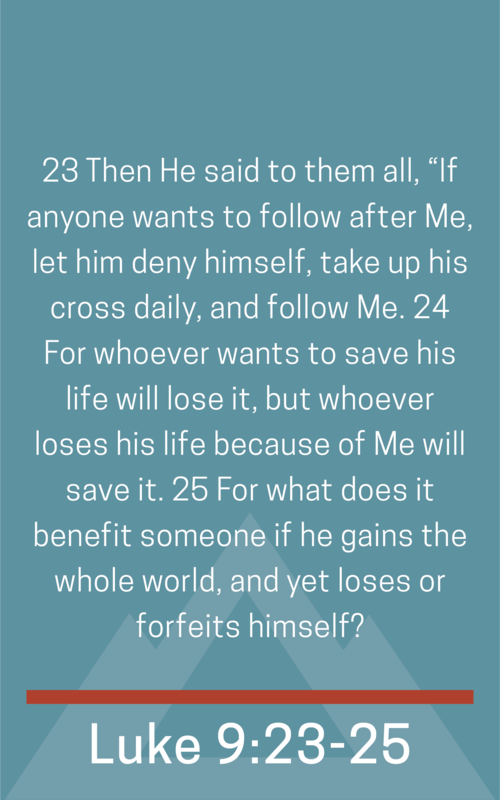 24 For whoever wants to save his life will lose it, but whoever loses his life because of Me will save it. 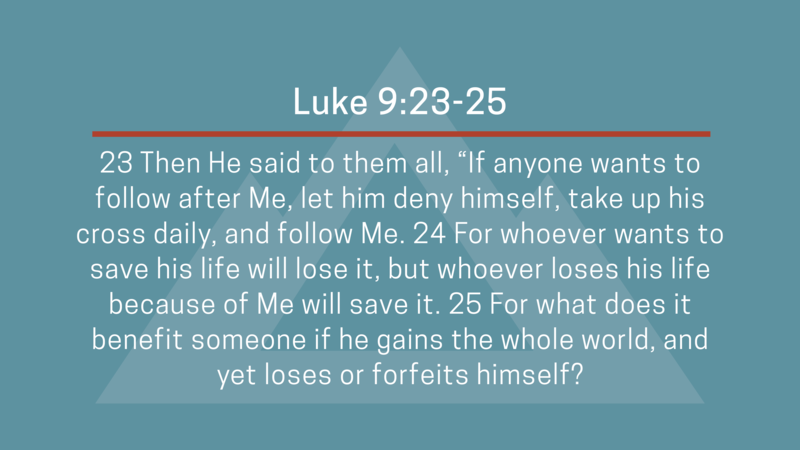 25 For what does it benefit someone if he gains the whole world, and yet loses or forfeits himself?"